The North Platte River is located just outside Walden, Colorado. As it travels northward, the river descends though Northgate Canyon just before it flows into the state of Wyoming. You can float Northgate Canyon as a day trip or you can enjoy a two-day float that allows you to experience a night of camping along the river's edge. 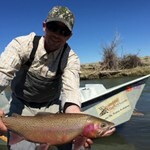 Rainbows and browns, most averaging 15 inches, pack the North Platte. 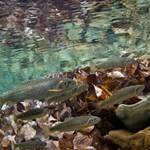 Pocket water, meanders, and riffles describe the trout habitat. 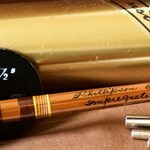 If dry flies whet your appetite, you will find the North Platte a wonderful stream to cast for rising fish. 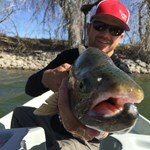 Miracle Mile Fishing Report - Windy, But Good Fishing! Originating in Jackson County Colorado, The North Platte flows north until it reaches Jasper, Wyoming at which point it turns southeast and eventually empties into the Missouri River. ... moreOver 300 miles of this lengthy river, run within the state’s boundaries, making it Wyoming’s longest tributary of the Missouri. The Upper North Platte is best defined as remote, undeveloped and pristine. For fly fishermen seeking quiet and solitude, this section of the river has much to offer, including 55 miles of heavily forested greenery and Blue Ribbon waters from the Colorado border to a point just shy of Saratoga. 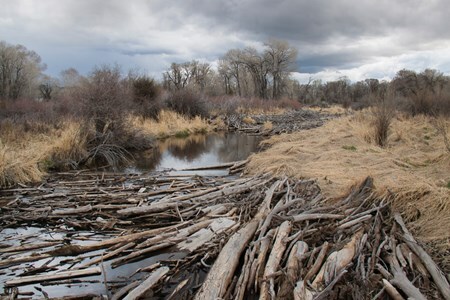 Near the junction of the Encampment, another highly regarded trout stream, the river enters the high plains and runs free until blocked by the Seminoe Dam and reservoir, about 100 miles north of the border. Below Seminole Dam is the smaller Kortes Dam and a short distance downstream from there begins the world famous Miracle Mile. 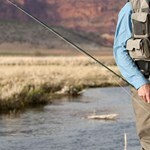 This stretch is not known for dry-fly fishing; for best results, anxious anglers are encouraged to use nymphs, woolly buggers, streamers and glo-bugs that can be fished deep or just under the surface film. Favorite nymphs and emergers, in bedheads and unweighted, include squirrel tails, pheasant tails, hare’s ear and Prince nymphs, flashbacks, caddis larva and caddis pupa. There is full public access along the Mile although accommodations are mainly limited to campsites. If you are intent on finding the rare and difficult, The Dome Rock Reservoir, located in the North Platte drainage basin, is managed as a finespotted cutthroat fishery although catches are limited and tackle is restricted. 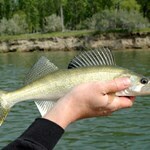 Fishing in North Platte reservoirs can also be challenging and rewarding. 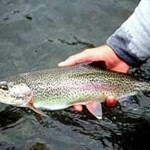 Seminoe, Pathfinder, and Alcova are excellent sources of both trout and walleye. 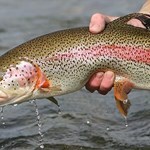 Another excellent tailwater fishery is located just below the Alcova Reservoir from Grey Reef Dam to Goose Egg, just west of Casper, where you can find cutthroat, rainbows and browns. Since the Miracle Mile tends to be crowded, Grey Reef appears to be taking its place as the fly fishermen’s new “most favored” destination. Payment directly with North Platte River Float Trip with Rocky Mountain Adventures.